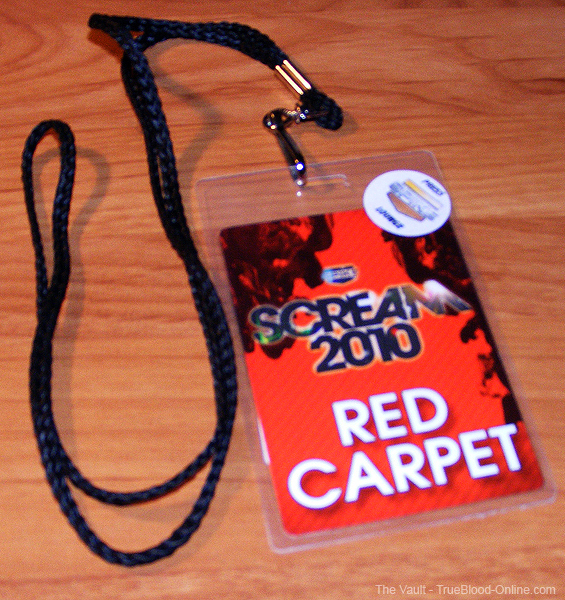 On Saturday night, October 16, 2010, I had the wonderful experience of attending the 2010 Scream Awards.The Vault was given two Press Passes that included the Red Carpet for me to attend as Co-Admin and a fellow Billsbabe BittenByBill (BBB) to share the experience with me. BBB had been to the event last year, so she was a great help in explaining the ins and outs of the event to me.It was a chilly and drizzly evening when I got to The Greek Theater in Griffith Park, Los Angeles, CA. BBB had already arrived and when we met up it was great to finally meet each other. We both have been Billsbabes since 2008 and have corresponded but never met, so it was a real treat to do so.Let me start off by saying how much we appreciated the opportunity to have a pass and be part of the Press at the event. 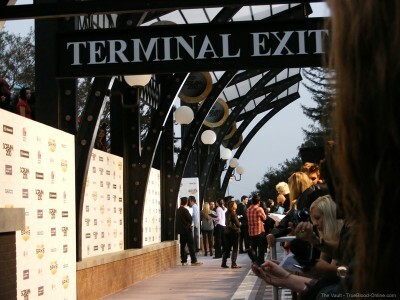 Thank you to the Scream Awards for including us! However, our position was not the best and didn't allow us much media coverage, so while it was appreciated, it also was somewhat disappointing. Of course, we were mostly interested in True Blood, and were hoping at least that some of the cast members who knew we would be there would find us and stop by.We knew that many of the cast were expected to attend including, Anna Paquin, Stephen Moyer, Rutina Wesley, Sam Trammell, Kristin Bauer, Alexander Skarsgård and Alan Ball. Unfortunately, most of them either didn't even walk the carpet or just stayed in the front area where the main stream press was. We were stationed outside that area and stood behind gates with very little front end space as shown below. We had no covering and very poor lighting, so we just made do with what we were given, still hoping for some attention from the True Blood cast. Throughout most of the carpet period, we saw some stars that included, Mickey Rourke, Marilyn Manson, Paul Wesley, Nina Dobrev, actors from the TV show Lost and many more, that I'm afraid most of us didn't know. 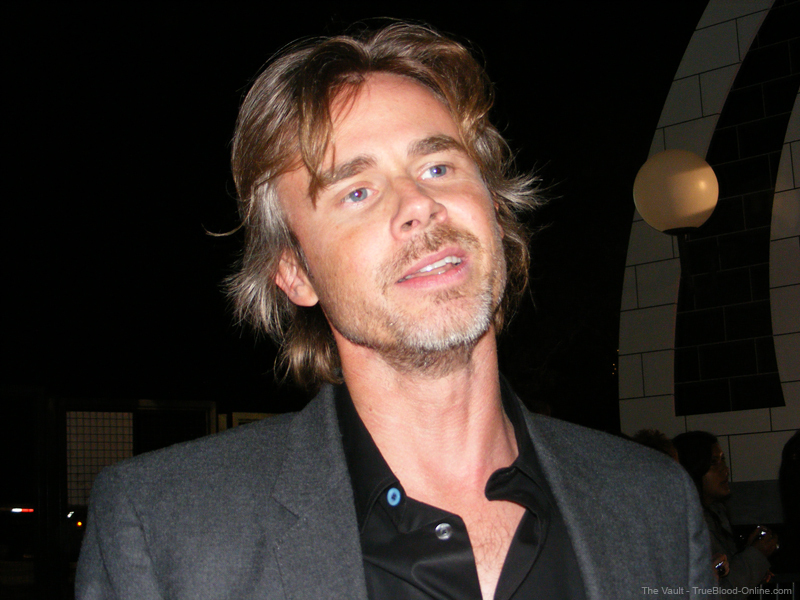 I expected, at least, that Sam Trammell would come to us because his publicist had stopped by earlier to find us and said he would stop by.I had recently attended a charity event that was important to Stephen Moyer for the fund to help the Darnell Family and we had discussed the Scream awards at that event, so I was hopeful he and Anna would attend. When it got close to 7pm, we were all starting to get pretty concerned thinking that many wouldn't even bother to come to us. 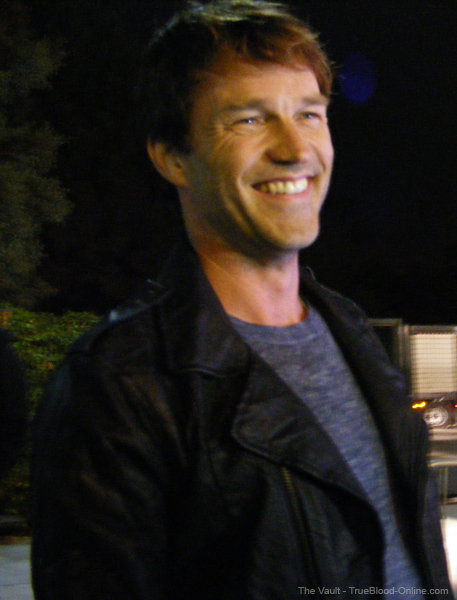 Just then, as I looked up, I saw Stephen Moyer.After taking some photos in the press area, he had come to our area and sought me out, saying: I'm here to see "Lynn from the Vault" and then said to all around me, "It's the only one I"m doing." 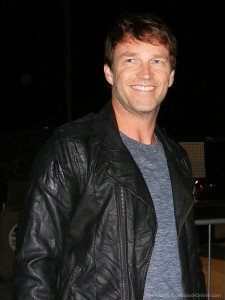 I had told him I would be on the red carpet, but never expected him to "single me out" in such a way. The very brief and extremely amateur video below represents the moment he arrived to see me on the red carpet Thanks Steve, you are the best. What would you wear if you were going to dress up for the Scream Awards? 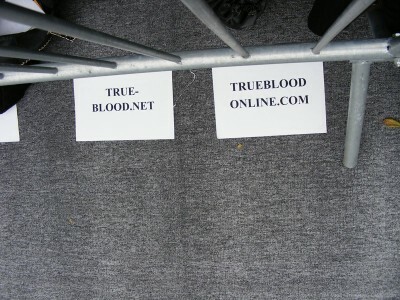 What are you doing during the hiatus of True Blood? When we discussed what he's doing right now he indicated that he will be hopefully starting The Big Valley on October 25 and he talked about True Blood not starting now until November 30. They had originally thought they would film two episodes before the new year, but now only one is scheduled. After all the stars left the carpet, our job as reporters was done and it was now time for us to party! There was a special "lounge" for the Press where you could get something to drink and eat, watch the show on closed circuit TV and hook up your laptop. BBB and I opted to experience the show by sitting with the audience. Wow, was it fun! It is unlike any other award show you have ever seen. The audience is all dressed in Gothic horror outfits, sort of a 2010 version of Rocky Horror Picture Show. The Greek theater is an open air theater, so the drizzle continued to shower down on us during the event, but no one seemed to care. Drinks were being served to the audience during the event (specifically Fangbangers made with True Blood drink). With each commercial break, handlers moved people to different seats as seat fillers for the stars when they went on stage to present. True Blood won big on this night and BBB and I were just thrilled and screaming our lungs out. When the show won Best TV Show, I was up in the front screaming and waving my arms. We had a blast! While it was wonderful to see the show in person, it is something I can't wait to see also on TV. It's a fabulous time that you all should watch this Tuesday, October 19 on Spike TV. More images can be seen in the Vault Photo Gallery. 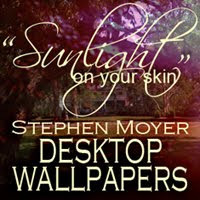 Thanks to demuredemented and ThelLou for helping out with the videos.